This Christmas, show your employees how appreciated they are with a Buchanan Galleries Gift Card. Accepted in over 70 Buchanan Galleries stores (including John Lewis), our Gift Card will give your valued staff the flexibility to tailor their gift to their own unique style and taste. And, if you order between now and 15th November 2018, you'll receive 10% discount on your total order*. For further details, call us today on 0141 333 9898. Discount applies to corporate orders placed between 22nd October and 15th November 2018. 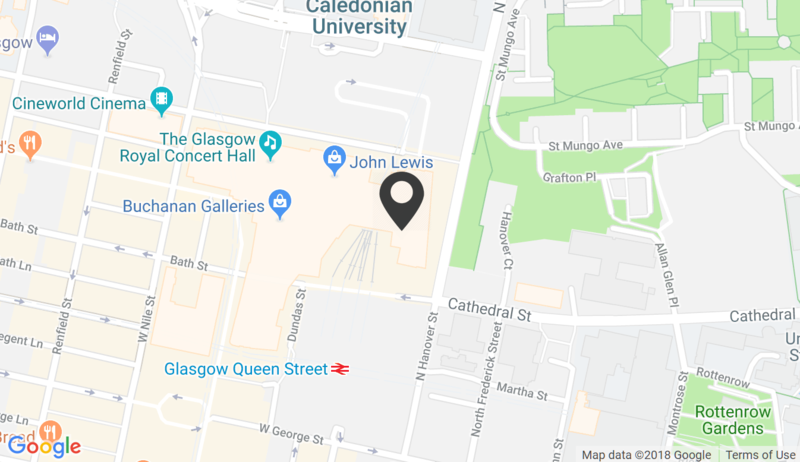 Corporate orders can be placed by visiting our Information Desk on the first floor of Buchanan Galleries (opposite John Lewis) or by calling us on 0141 333 9898, during Centre opening hours: Monday-Wednesday, 9am-7pm; Thursday, 9am-8pm; Friday-Saturday, 9am-7pm; and Sunday: 10am-6pm. Regrettably, we cannot accept card details over the phone. Please allow seven working days for BACS payments to be processed. Discount applies up to a maximum qualifying order of £5,000. For orders higher than £5,000, a total discount of £500 will be applied. Discount is limited to one corporate order per organisation. Individual Buchanan Galleries Gift Cards can be loaded to any value between £5 and £500. Offer is subject to availability and may be withdrawn at any time, without notice. The “Promoter” of this offer is LS Buchanan Limited (registered number 023077553) of 100 Victoria Street London SW1E 5JL (“Land Securities”).